>Boopathy Engineering Works Pvt. Ltd.
Boopathy Engineering Works Pvt. Ltd.
Boopathy Engineering Works Pvt. 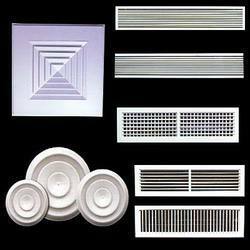 Ltd. - Manufacturer of duct dampers/volume control dampers, sound attenuators/duct silencers & grills & diffusers in Chennai, Tamil Nadu. Installed in branches of Air Distribution Ducts, these blade dampers are used to carry out a rough air system balance with closer control being carried out at the individual grills or diffusers. 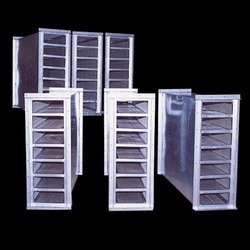 Our Industrial Duct Dampers are available in Aluminum or Galvanized Steel and Motorized version also. 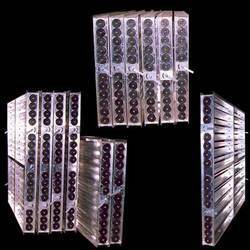 We manufacture and supply high quality Electronic Duct Dampers all over the country. We design a comprehensive range of Sound Attenuators, which are used to reduce the noise generated by fans, and impellers used in air conditioning system. The noise is relevant to the amount of work they do to move the air, much of the noise generated by the fluctuations of radiated pressure and the pressure waves are distributed approximately equally in all directions causing 'duct borne noise' and break out or 'flanking noise'. Expert manufacturer and supplier of Grills & Diffusers brings you a variety of options in this product range comprising Linear Grills, Double Deflection Grills, Single Deflection Grills, Modular Ceiling Diffusers, Rectangular Diffusers, and Round Ceiling Diffusers. Our Grills & Diffusers are designed and developed by extensively experienced and qualified professionals, who realize all of your expectations from a perfect Grill and Diffuser. 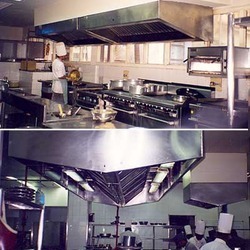 An industrial kitchen such as hotel kitchen, where hygienic food items are cooked has to have an exhaust system to take out the fume from the burners and the smell generated from the food items. Our Kitchen Exhaust Hood are best suitable to exhaust the smell spread into the cafeteria, dining hall and the guest areas. These Exhaust Hood are widely used to avoid the fume and smell from inside. Hoods are designed to suit the burner range sizes and are erected abutting the wall for burners near the wall and at the locations, where chef operates the burners from both sides. 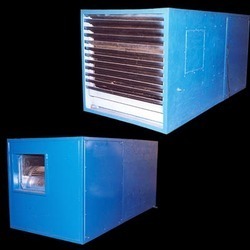 Boopathy Engineering Works is the most leading manufacturer and supplier of Air Washer/Scrubber, which are connected to the kitchen exhaust duct to filter and exhaust the smell and the contaminations in the air. The Air Washer unit with Cellulose Pad are provided for cooling the air, when the fresh air is pumped into the kitchen or the area to be ventilated. Industrial Air Washer supplied by us are available at market leading prices suitable to each class users' budget convenience.